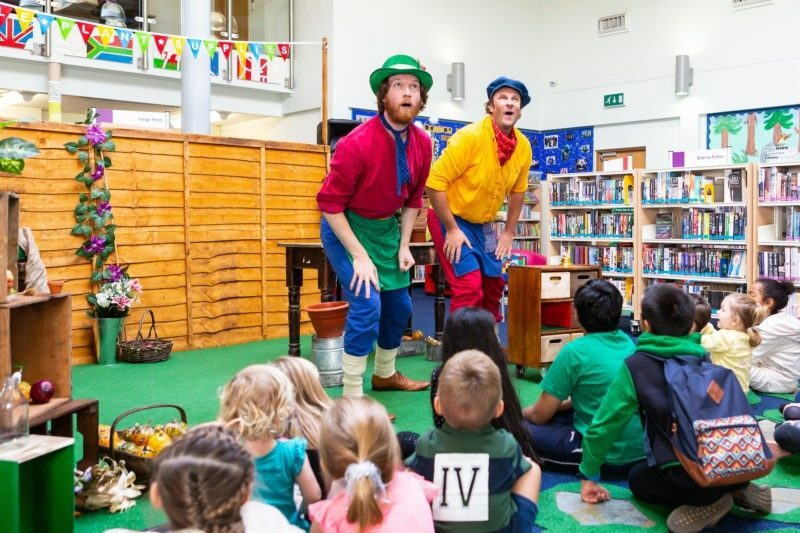 Theatre Royal has been programming performance and workshops into Suffolk Libraries since our children’s festival – Once Upon A Festival – decided to widen its reach and create a tour of libraries to share quality theatre with young audiences in familiar spaces. This cultural partnership with the Libraries seemed a natural fit with Theatre Royal’s Community Engagement approach as both programmes aspire to reach out to rural, isolated communities to provide access to cultural experiences that would not otherwise be available. Theatre Royal have programmed a range of work for different age groups in libraries across Suffolk. These include theatre performances and workshops for both young people families and older people through the library network. Family audiences in Bury, Felixstowe, Ipswich and Newmarket enjoyed theatre performances as part of the Once Upon A Festival programme, including Pied Piper by Norwich Puppet Theatre, The Children of the Moon (inspired by the Jack and Jill story) by Makeshift Ensemble and participatory music making with Graffiti Classics and The Junk Orchestra. 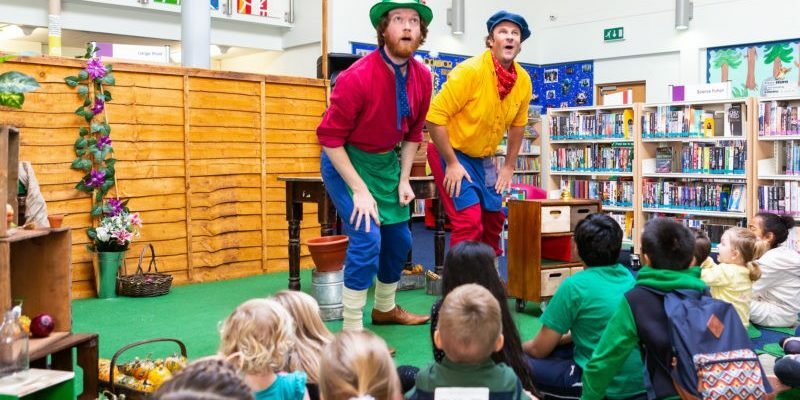 From watching the sold out Pied Piper performance at Bury Library as part of the festival, it is evident that there is a need and a place for quality performance art from families who accessing a working library. 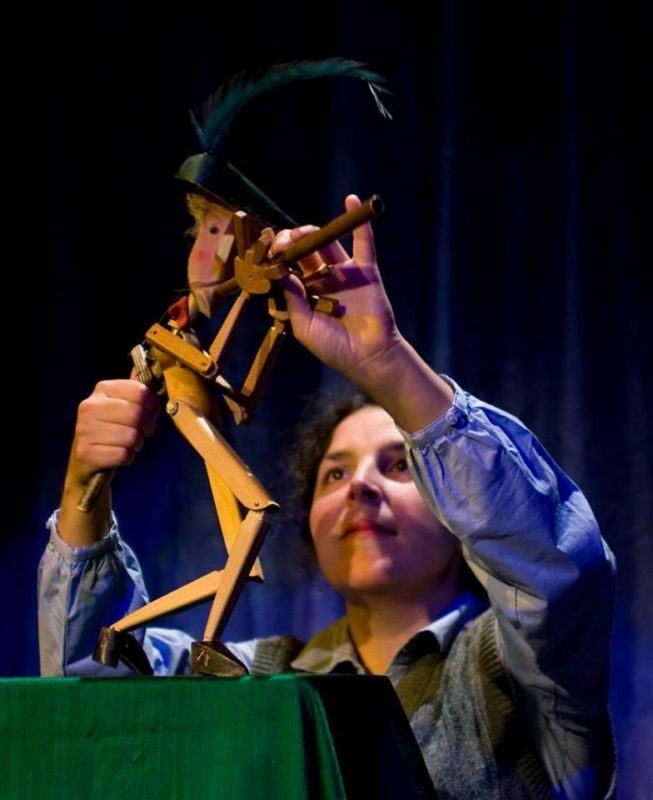 The atmosphere was pure joy as children and parents sat on cushions mesmerised by the performance and the sheer delight when they were invited to meet the Pied Piper puppet is something that will stay with those families for a long time. Many of these library audiences are now accessing performances, youth programmes and family events at Theatre Royal as a result of these performances. Older people over 60 have accessed Act Your Age outreach workshops and had the opportunity to attend core workshops at Theatre Royal, attend rehearsals of in- house production including; The Wisdom Club by Danusia Iwaszko and take their first steps a performers showcasing their creative skills at the venue before transferring to performance and volunteering opportunities within Theatre Royal wider programme. We chose to work closely with our library partners due to their unique placement as a gateway to the community and commitment to their ‘Universal Culture Offer’ – which sets the ethos of the venues as a space that recognises public libraries as welcoming places where children and adults can immerse themselves in every form of art: learn from local artists; create their own art; watch theatre, music and dance performances; and learn about art and culture through books and reading. With an ambitious aim to increase health well-being in 60% of its users through cultural engagement. Click here to watch a clip of Graffiti Classics in action! This commitment to providing creative opportunity and culture for an inclusive community clearly matched Theatre Royals own objectives for our community engagement. Our relationship with Suffolk Libraries continues with free performances over the upcoming half term of Full of Beans by leading children’s theatre company Full House Theatre across Suffolk Libraries including Bury, Thurston, Felixstowe and Ipswich County.